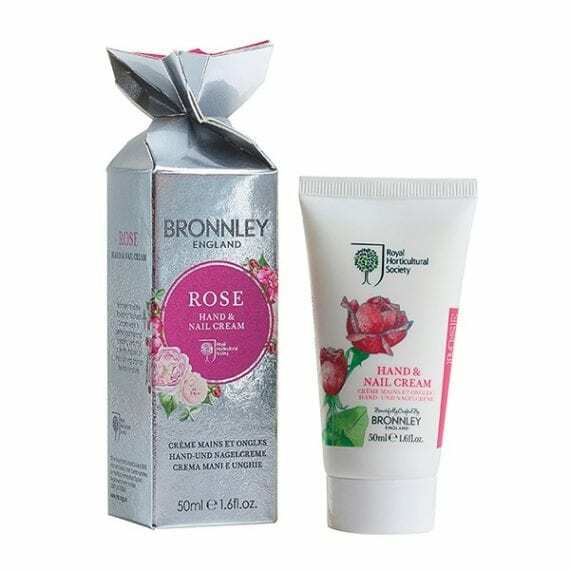 Bronnley RHS Rose Hand & Nail Cream 50ml Cracker. 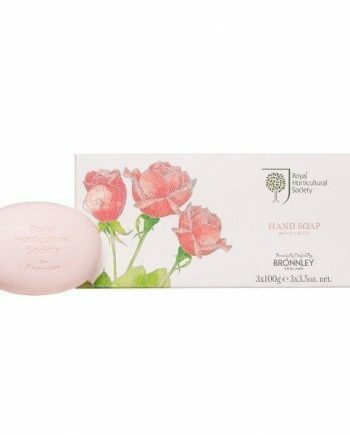 Indulge your hands with our richly blended RHS Rose Hand & Nail Cream. Enjoy the sophisticated rose bouquet, enhanced with Shea Butter to help hands feel soft and nails conditioned. 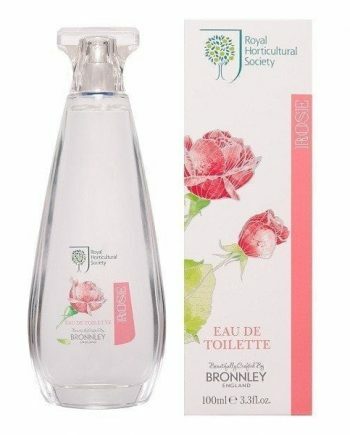 Developed in partnership with the Royal Horticultural Society. Beautifully packaged in a ready to gift cracker style box, this is the perfect luxury stocking filler.